Becoming a stay at home mom has had its challenges. Of course financially, but also in relation to my own sanity! I’ve always been a person that has owned a business, worked two jobs or worked while going to school. This means that staying home all day, every day is just not something that I am accustomed to. It has been a bit of a challenge to keep Penelope happy and myself productive. One thing I have found that helps me stay sane and healthy at the same time is taking a long walk with Penelope every day. It is refreshing, energizing and a great excuse to get out of the house if we don’t have any other plans or errands happening that day. 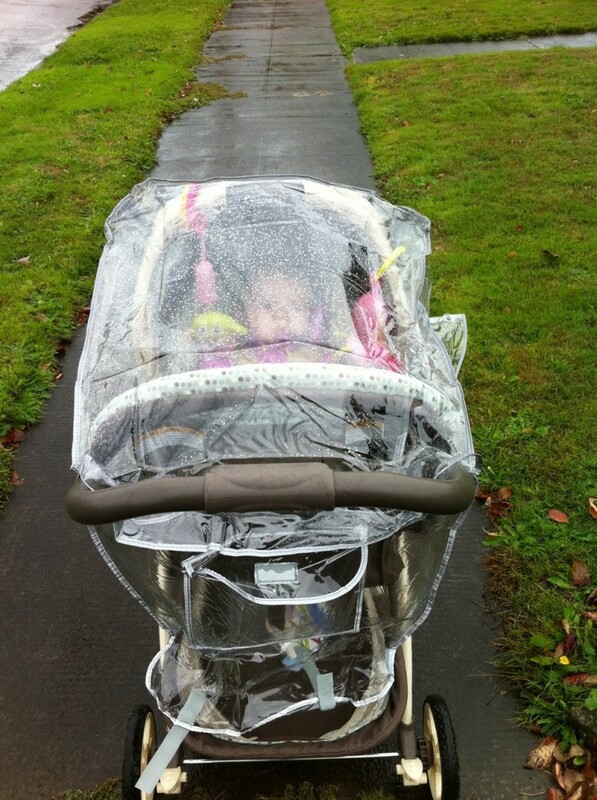 Penelope was born in March which means that from birth to now we have had pretty decent weather for walking. Sure, there are some sprinkling moments or chillier days but nothing that could keep us locked in for the whole day. 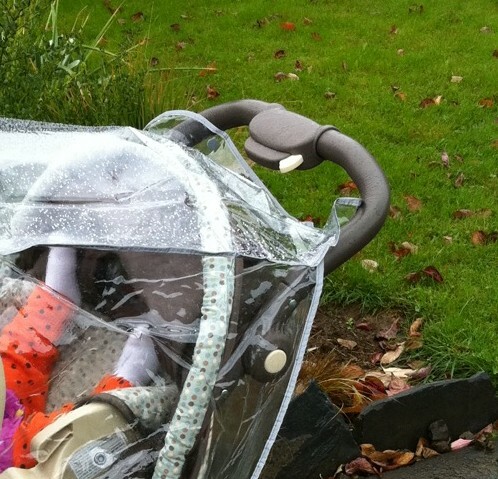 Fast forward to Portland fall weather and we are confronted with a severe change. 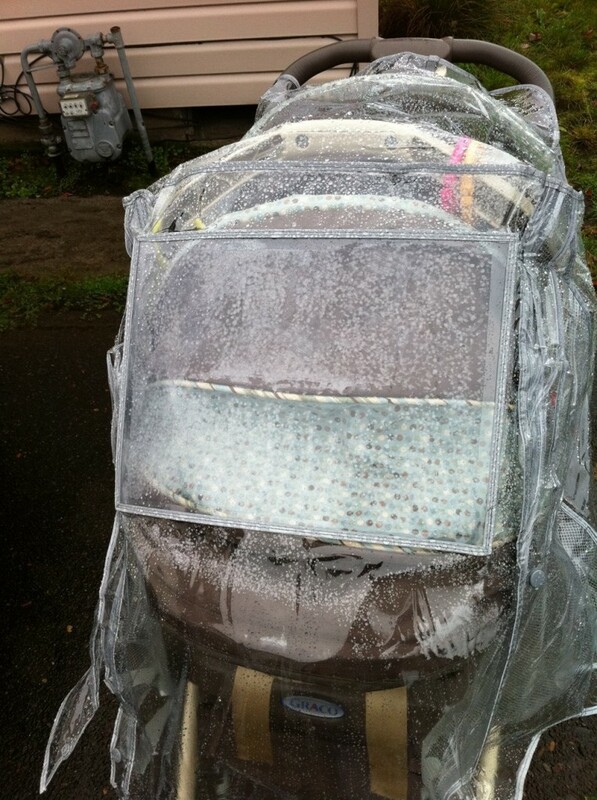 Rain, rain and more rain. 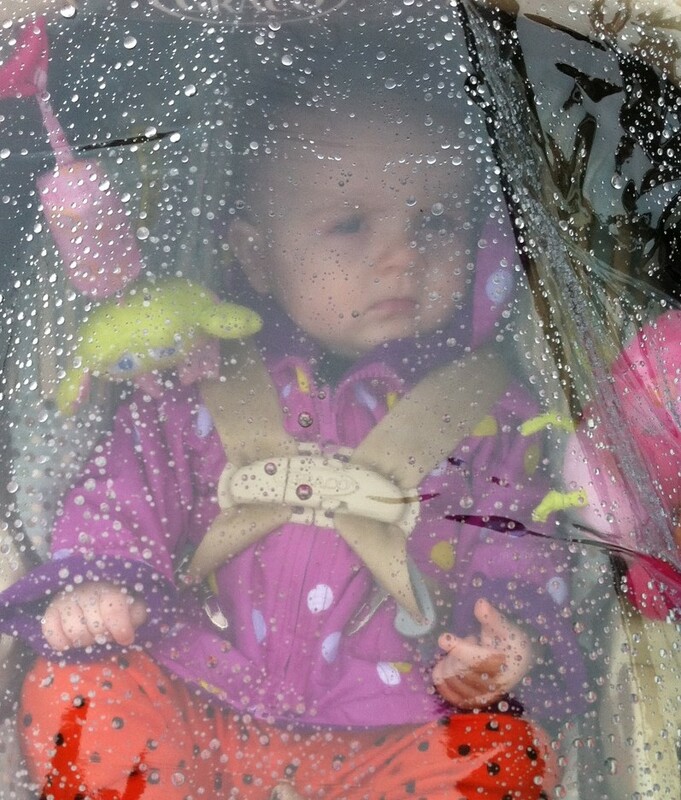 Being a true Oregon native, the rain doesn’t phase me. I don’t own an umbrella, I rarely wear a waterproof jacket and my rainboots are less about staying dry and more about owning a cute pair of boots. 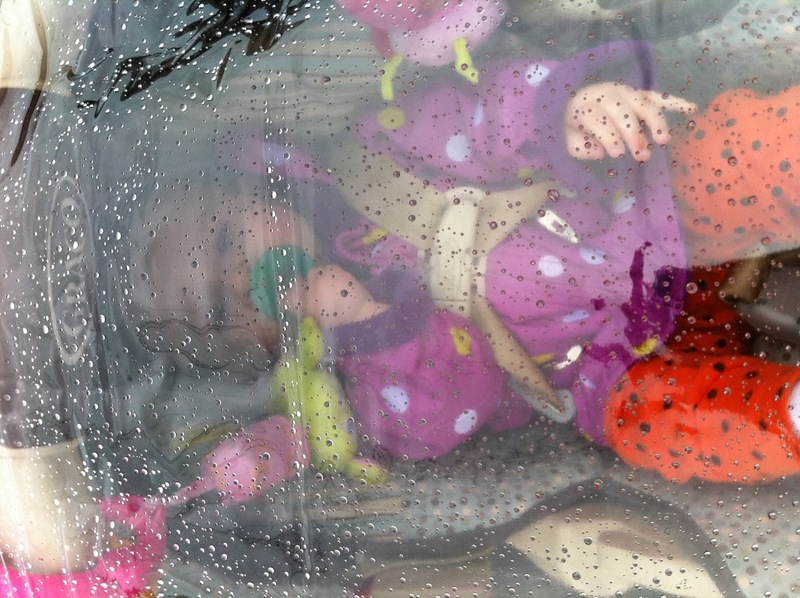 Just because I am okay with the rain doesn’t mean that my little 7 month old baby girl is okay with an hour long, soggy stroll. 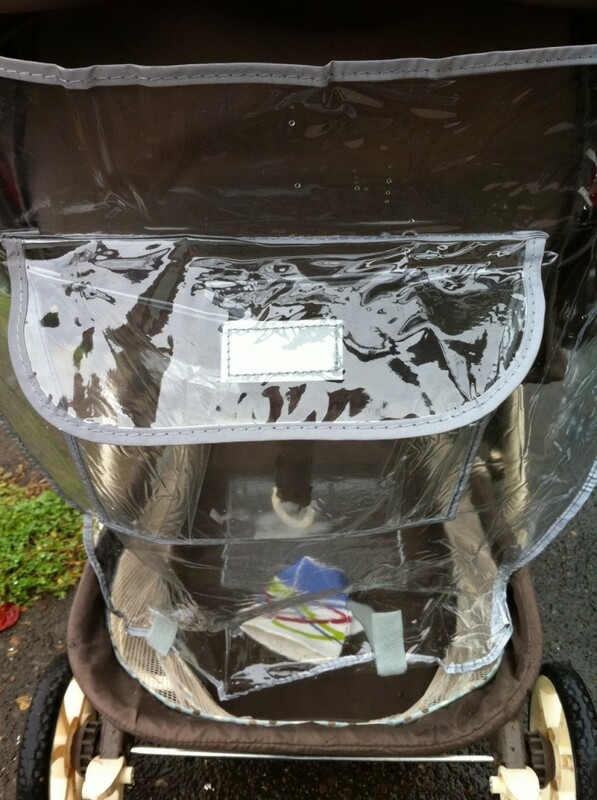 I searched online for a way to keep my little one dry on our long walks and was pleased to find waterproof stroller covers available. 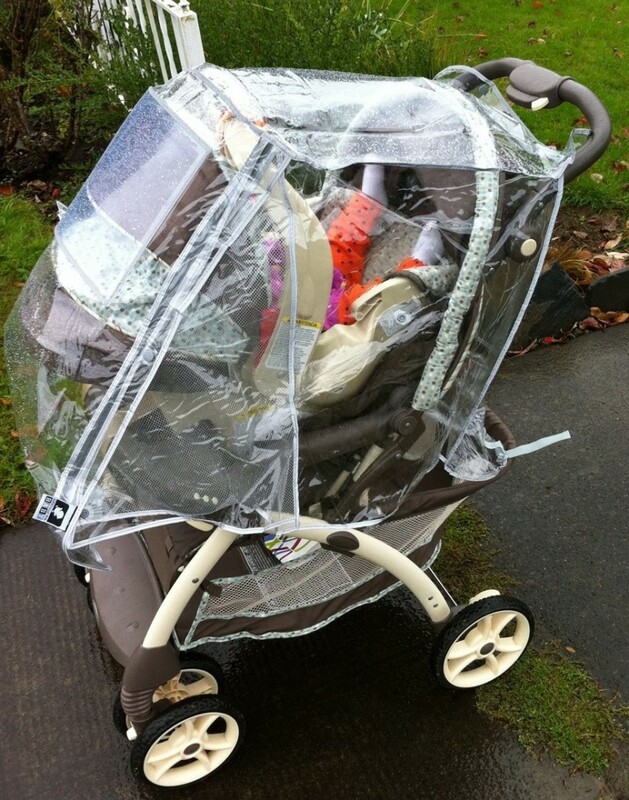 I have a Graco travel system and am still using the infant carseat that pops into the car base as well as the stroller. 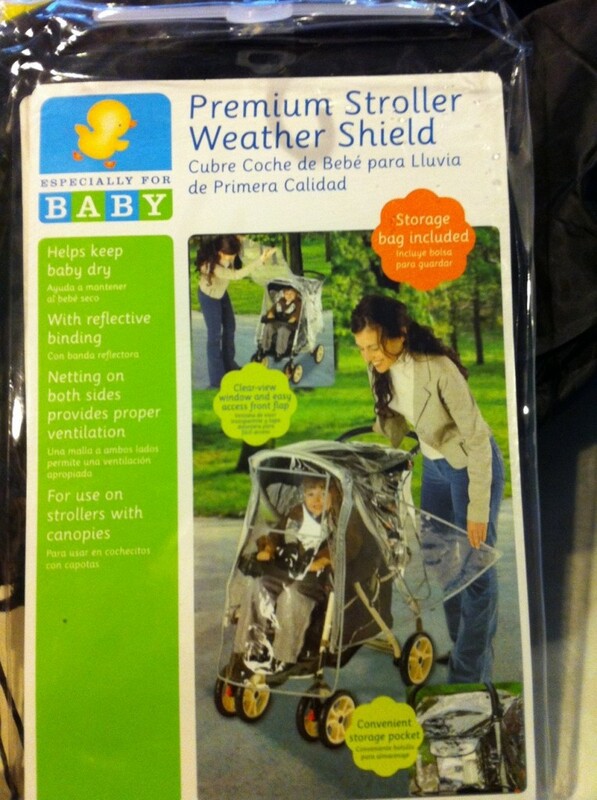 At Babies R Us I found the perfect generic branded waterproof cover meant for travel system strollers such as mine! 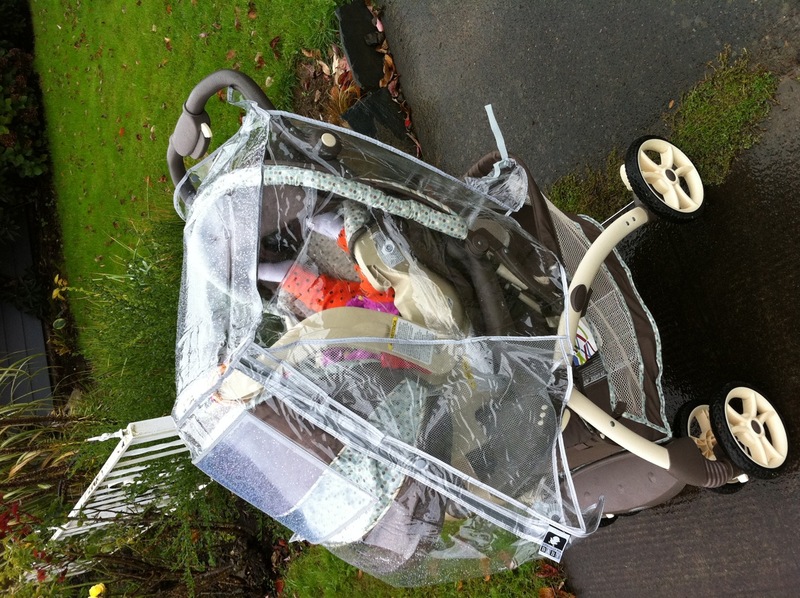 They are not necessarily meant to be used with the carseat attached to the stroller, but I was pleasantly surprised when the cover slipped easily over both the stroller and the carseat! 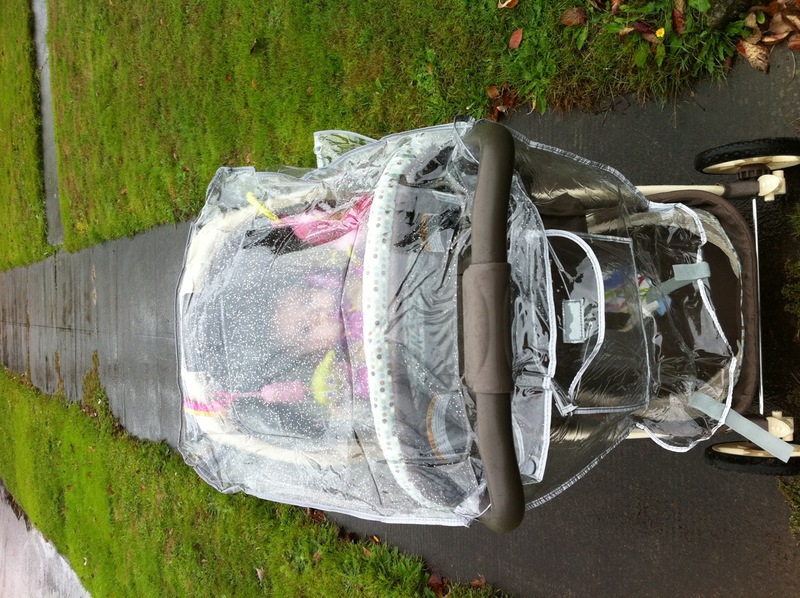 I awoke to a rainy day yesterday and was gunning to try out my new waterproof device! 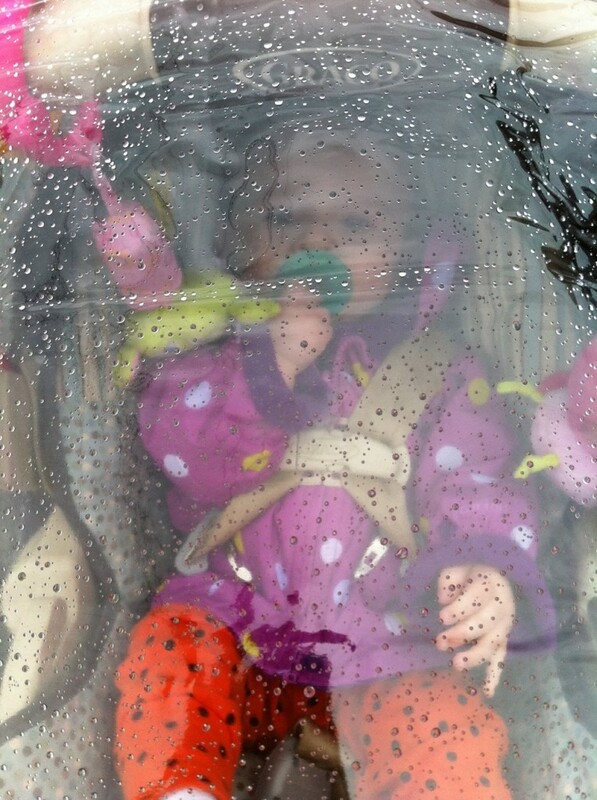 I dressed Penelope up nice and snug in her winter jacket and strapped her into her carseat/stroller contraption. 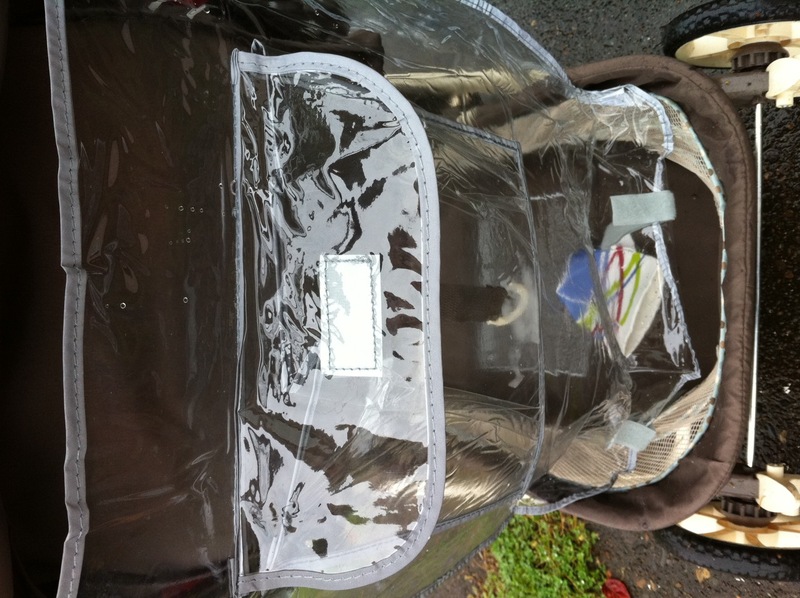 I then proceeded to pull the rain cover out of its packaging, unfold it and slide it over the top of the stroller. 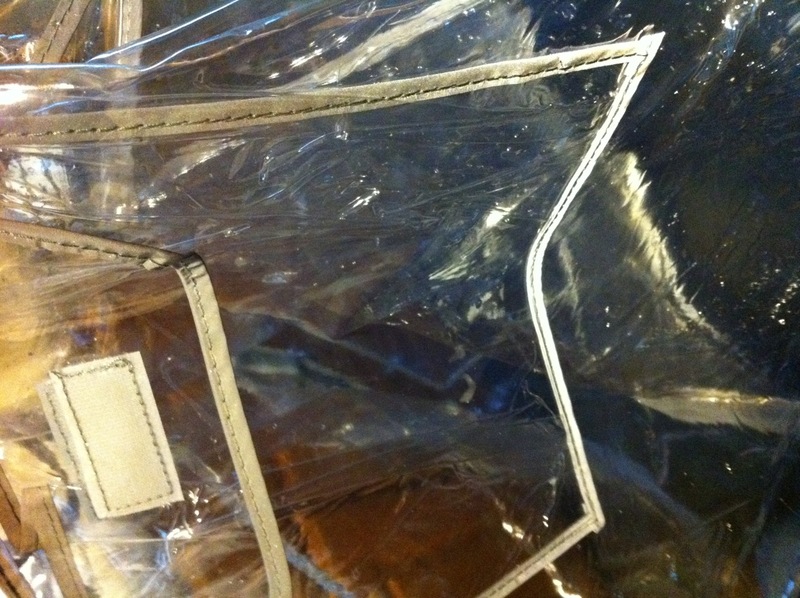 It was so simple to put on! 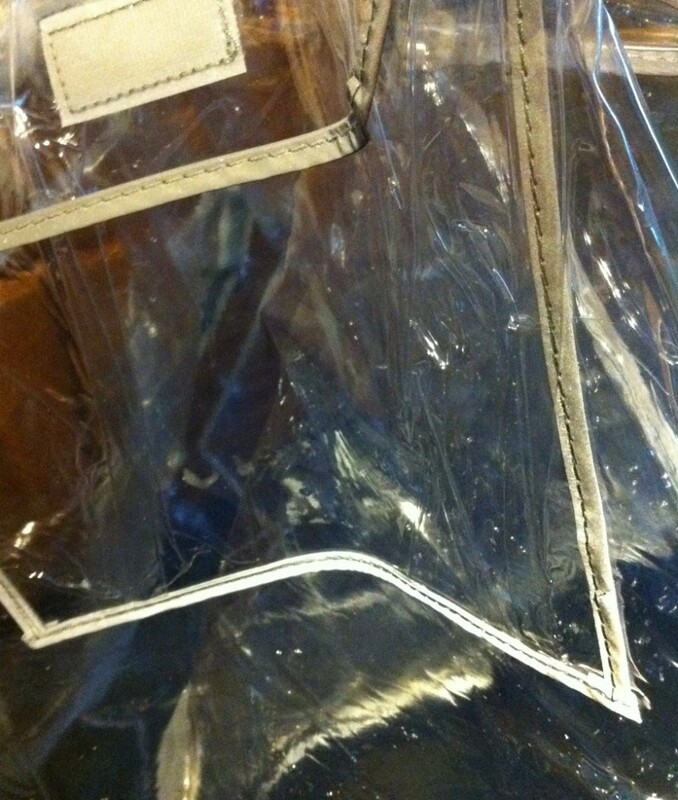 reflective silver trim for those dim days or nighttime walks. 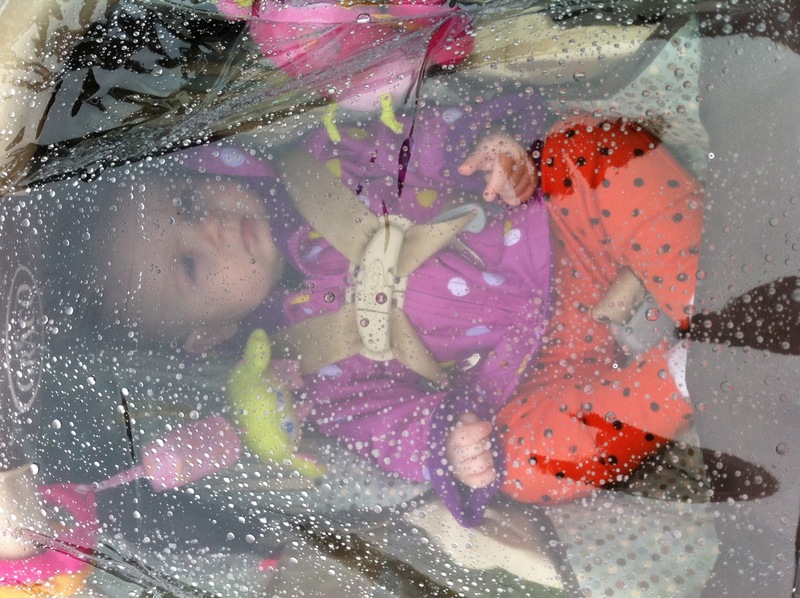 Penelope and I took an hour long walk, all the while being steadily rained upon. 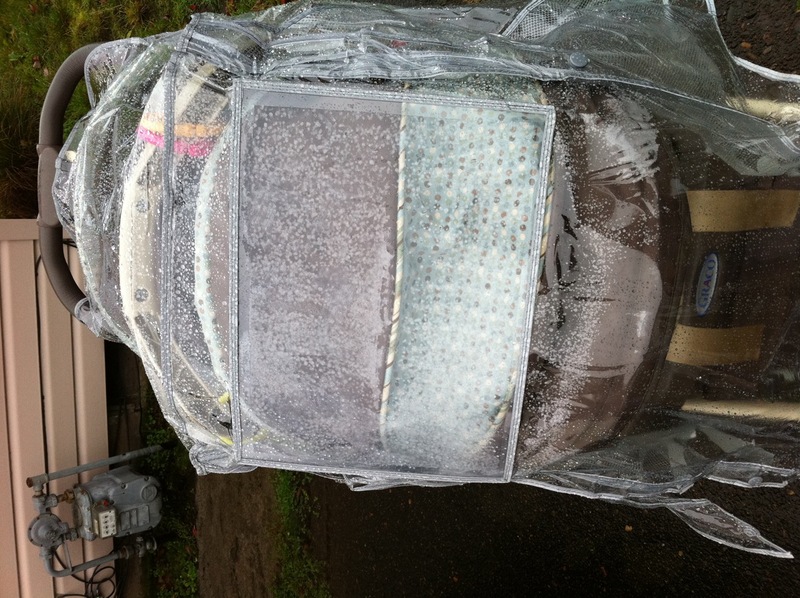 I was a little worried that she would feel uncomfortable under a big plastic cover, but she didn’t even seem to notice and ended up taking a nice long nap during the entire walk. 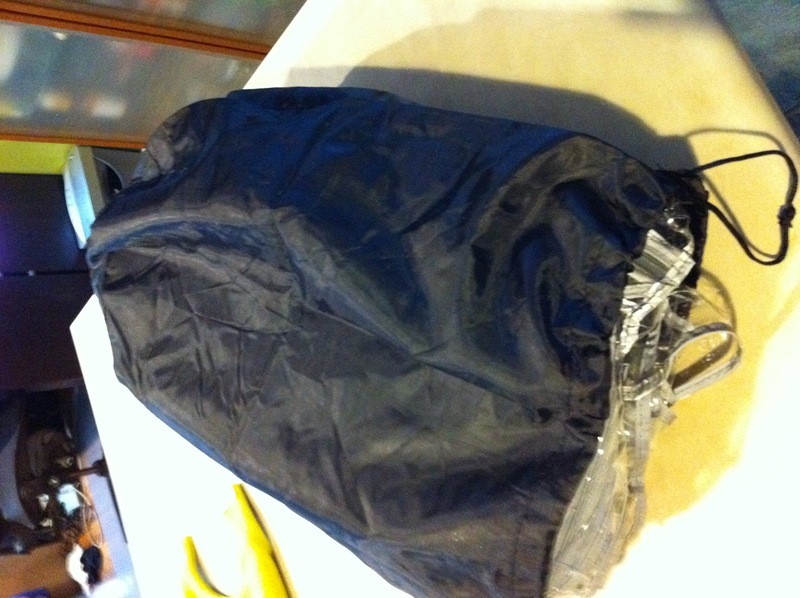 This entry was posted in Activities, Parenting, Product Recommendations. 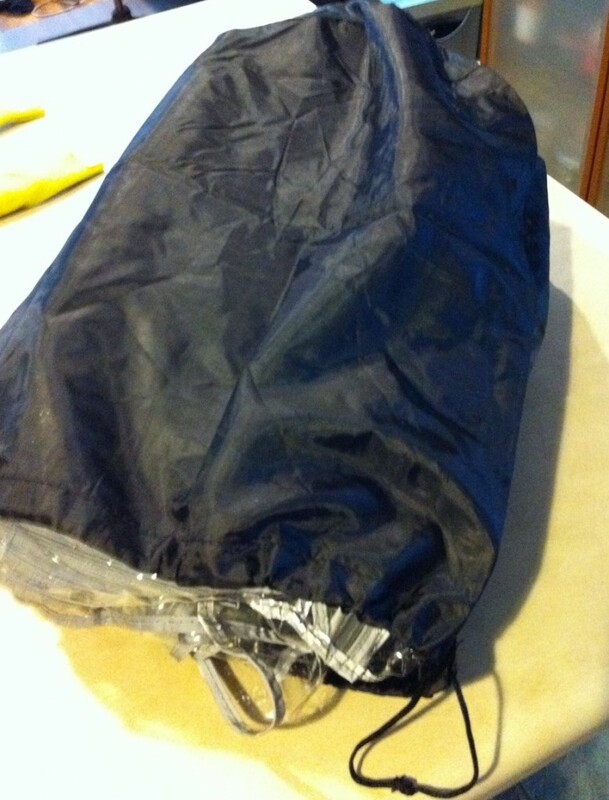 What an awesome product review! 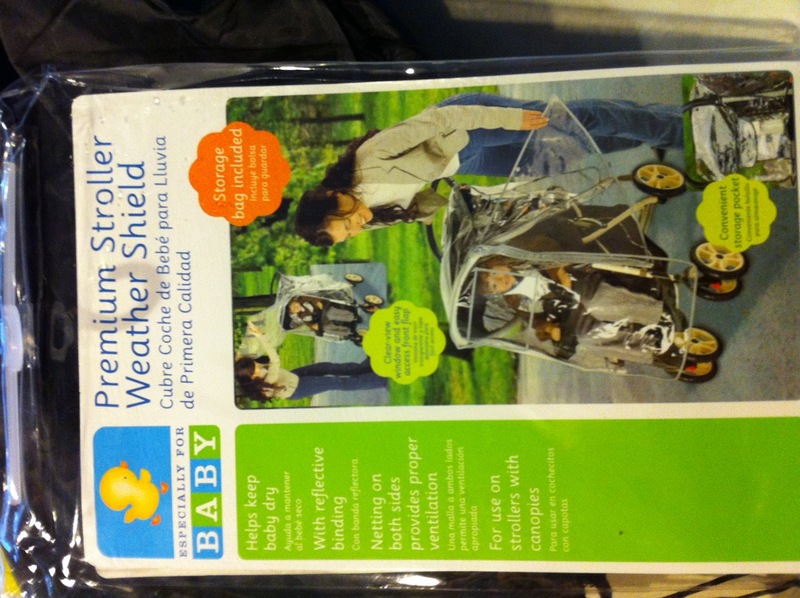 I’m hoping to get one for our stroller and hoping that my little tike won’t mind it – the one who doesn’t like the sun sheild up, hats on for more then a moments pose, and can’t keep her sunglasses on for longer then a few minutes because she has to look at them. LOL I’m so glad you got this!